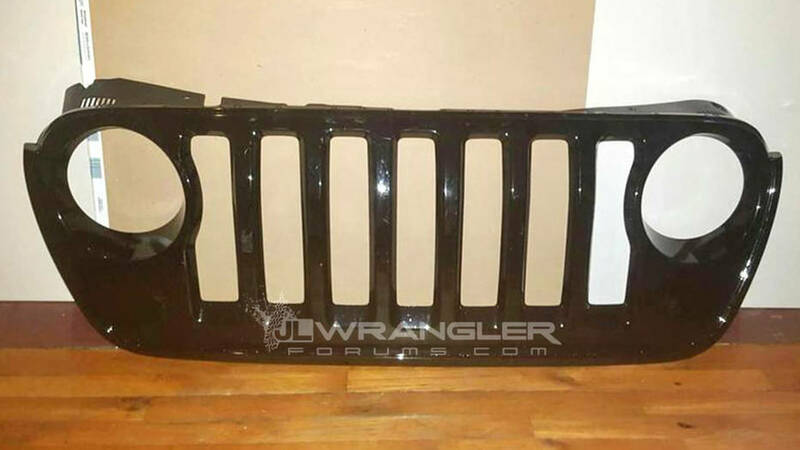 First Look at the 2018 Jeep Wrangler’s Grille? Did someone leak the first look at the next-generation Wrangler’s grille? We may be getting the first look at what the new Jeep Wrangler’s grille will look like. Jeep has been keeping the new Wrangler under wraps. It is one of the most anticipated by Jeep fans due to the Wrangler being seen in the current line-up as the throw-back to the original Jeep. With new Jeep models like the Grand Cherokee and the Cherokee having a newer look to them, fans of the old boxy look are afraid that the Wrangler will be getting a similar visual redesign. If this grille look is any indication, then there is nothing to worry about. This possible grille shows that the iconic seven slot is going nowhere to no surprise. What some publications have gathered is that there is no room for the turn-signals, indicating those may have moved to the fenders. Combined with possible other leaked images of a disguised Jeep thought to be the 2018 Jeep Wrangler and it adds up to a slight variation on the boxed look Wrangler fans love. For now, all that we can do is speculate on whether the images are even real. We can’t wait to see what the 2018 Jeep Wrangler will look like and photos like this will only make the wait longer and harder. This entry was posted in Bayside Queens, Jeep, Jeep Wrangler, New Car, Used Car and tagged 2018, 75th anniversary, Bayside Chrysler Jeep Dodge, Cherokee, Grand Cherokee, Jeep, jeep life, Jeep news, new suv, redesign, used suv, visual, Wrangler by baysideadmin. Bookmark the permalink.